Each January I draft a few broad goals to guide my genealogy in the year ahead. Locate overseas Kirk ancestors and Y-DNA test them. Interview family and record more oral histories. Write biographies of my ancestors. I can't say that I outright accomplished any of these goals in their entirety, but I certainly laid a sturdy foundation. And foundations equal progress. In August, I traveled to Cashel, Ireland where I met a distant paternal ancestor. While I don't think he will Y-DNA test, I've made my inroads into my ancestral homeland. 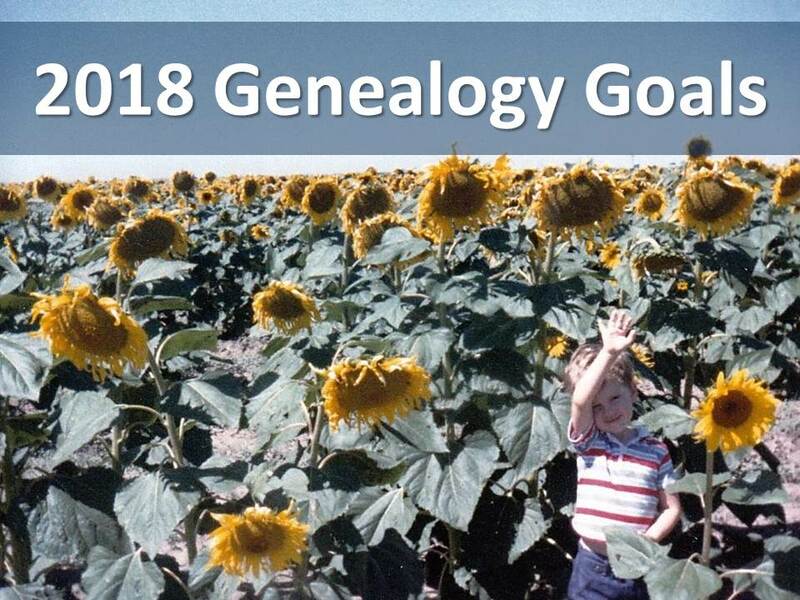 I'm now administering a Y-DNA surname project, which better positions me to achieve this goal this year. I was derelict in interviewing and recording family. I can and will do better this year. It's too important not to. Lastly, I still aspire to pen biographical narratives of my direct ancestors. I suppose in a way blogging my research chips away at this goal; however, not really in the way that I envision. I am very excited about an endeavor - a real passion project - that I spent an entire week off of work writing at the end of December. My first family history book. In 2018, I plan to continue writing the book - a genealogical survey of my fifth great-grandfather Thomas Kirk. Depending on how it shapes up, I may even self-publish it. This is my primary objective in 2018. It's a slow-going process. Writing up the piles of research I've accumulated on the man has drawn my attention to inconsistencies and, in some cases, even long-overlooked mistakes. Correcting the historical record has required unanticipated research with new discoveries that are dispelling decades of oft-repeated inaccuracies. Hey, if I'm going to write a book then I want to get it right. I'll take my time on this one. Of course, the book's conclusion touches on another important goal for 2018, turning to Thomas Kirk's surviving legacy - his DNA coursing through the veins of hundreds of living descendants. It's my hope that my role as administrator for the new Y-DNA surname group will better illustrate the path my paternal ancestors followed from Ireland to America (allegedly with a stopover at some point in Scotland). Maybe I'll even find distant cousins in the Emerald Isle or elsewhere overseas. The genealogy journey continues. I wish us all luck as we begin our adventures - all 365 days worth! Thank you, Dara! I'll take all the well wishes I can get, and wish you the same. Happy New Year! Have you uploaded your DNA to gedmatch? If so, what is your kit #? I have uploaded to gedmatch. My kit # is A905212. However, much of my research is focused on Y-DNA and matches that are older and, generally, out of the reaches of autosomal DNA. Be prepared for the unforeseen. The best advice ever. I have many cousins who keep asking when I'm going to write that book. Cousins, plural form, means they aren't all talking about the same book. I wish you all the best with writing and later self-publishing. Thank you, Cathy. I think it helps that I naively thought I could complete the project in one week. It was only after I started writing that I realized what a time intensive undertaking it really would be. Alas, I'm in too deep now to back out, so onward ho! Good luck in 2018! I look forward to following along. Likewise, Amy! Here's to a Happy New Year! Administering a DANA group is a brilliant way to move towards your goal. And I agree with keeping open. Although it did distract me a bit from other tasks, I found that doing so last year led me in an interesting direction and to some fascinating social research. It's true - keeping yourself open to wherever the research may take you does leave things a little unfocused, but it's often rewarding. I'm intrigued to learn more about your social research. Hope you have a great 2018!